Affordable Fence Men as your premier Fence Installer, Fence Contractor, NC | SC, we believe that quality for your project never goes out of style. We provide the quality workmanship you expect from Affordable Fence Men. As your Fence Contractor, materials supplier, Fence Installer, we wish to bring value to your home, curb appeal at your property, with a style of fencing that compliments your area neighborhood is part of our goal. 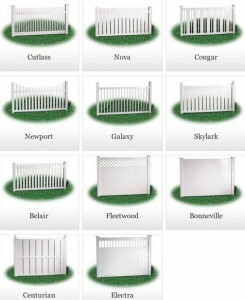 We would be happy to assist you in selecting the Fence, and type or style of fencing you want for your property. We serve the surrounding NC | SC coverage area including Carolina Beach, Hampstead, Leland, Myrtle Beach, Shallotte, Southport, Topsail Beach, Wilmington, and Wrightsville Beach. We started this business many years ago and we grew quickly into one of the most trustworthy and dedicated fence companies in the area. Offering a wide range of custom wood fence, vinyl fence, aluminum fence, and chain link fence . We want you to be totally and completely satisfied with everything we offer and do for you regarding the sale, installation and follow up service on our fencing products. Our goal is and always will be your 100% satisfaction. 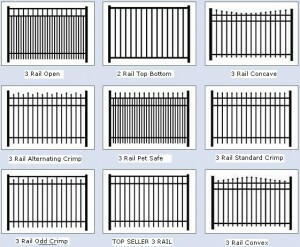 We install a variety of gates and fences including vinyl, aluminum, wood, and chain link. We know that if you like our fencing job performance that you will in turn recommend us to your friends and neighbors when they are looking for a fencing company to install a fence or gate system on their property. Please contact us with any questions you have about our company, products and services. 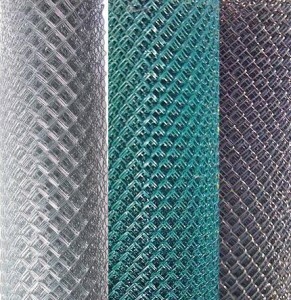 We have everything from Aluminum, Vinyl, PVC, Chain Link, Wood Fence, options to choose from. If you’re ready to get started with Fencing your property, please contact us today your premier, for a Free Fence Estimate.